At Hanlon Bros Removals & Storage we have over 50 years experience in removals, helping families move across Ayrshire and the rest of the country. We understand that removals can be a stressful process, our experienced team are on hand to help you with all your removal needs. So when you look at that bulky wardrobe or that 70” plasma television, you can be sure our expert removals team are up to the task. 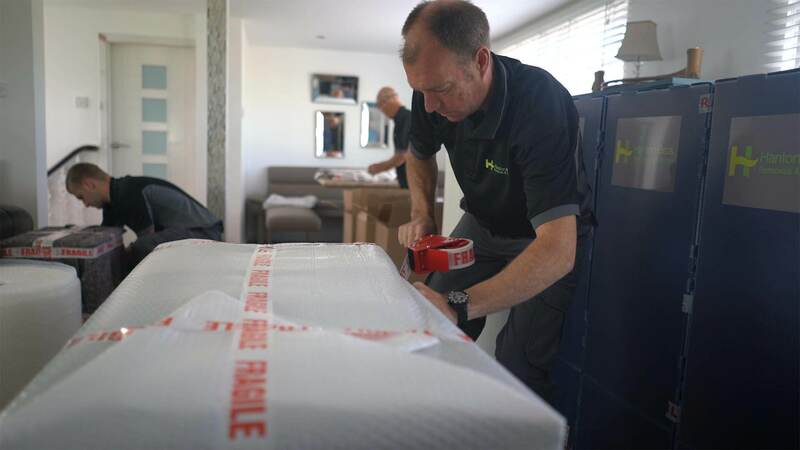 Our end-to-end removals service means we’ll take care of it all, from lifting the big heavy stuff to the small delicate glass ornaments, to unpacking and set things up in the right room. Security and Reliability with your Items. When you book Hanlon Bros Removals and Storage, you trust us, the top removals company in Ayrshire, to take care of all your house removal needs right up until you settle in your new home. Use our Packing Service and we'll get every single item wrapped up and ready for removal, giving you more time to focus on everything else. We’ve got a number of innovative products that aid the removals team with packing up your property such as hanging wardrobe cartons. These cartons mean you don’t even have to fold your clothes, they can be transported hanging up. You can call or contact us to make an appointment for a no-obligation removal survey to be carried out at your property. This process enables us to identify what your removal requirements are and also to discuss the various services we have to offer. You will then be given a written quotation the following day and you can then decide if you wish to accept our quote. If you do decide to use our company you would have to fill out an acceptance form and then your removal is booked in. Fill out our House Removals Estimate form and one of our team will be in touch shortly to discuss your removal needs.